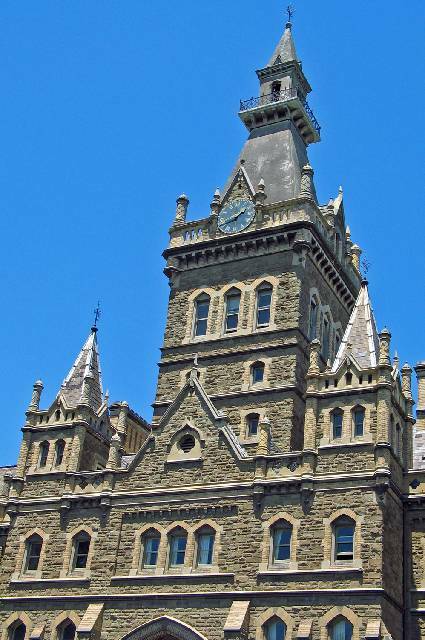 Construction of Rough-hewn Barrabool sandstone on a bluestone plinth, with cream brick dressings around windows and doors openings, Ormond College is a Gothic Revival masterpiece and a campus landmark. It was designed by Reed and Barnes, who had designed early major buildings on the campus and who had been retained by the University Council until the first decade of the 20th century as its architects. The main building is planned around acloistered quadrangle and at the centre of its three-storey pavilion bay plan is a bell and clock tower with a belfry and encircling balcony. Various additions such as the dining hall (1892-93), with its baronial fireplace, complement the ever-so Englishness of the entire collection, which owes much to the rigorous design principles followed by English Gothic Revivalist William Butterfield. 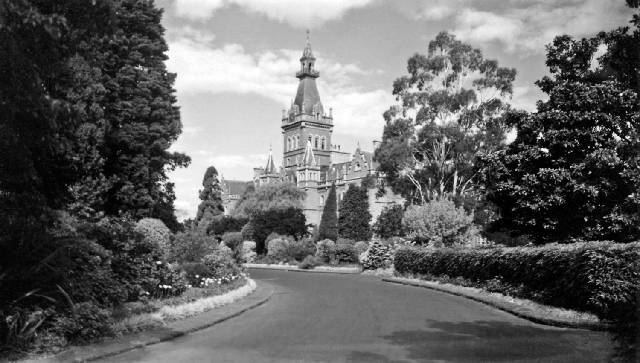 An old postcard of Ormond College. 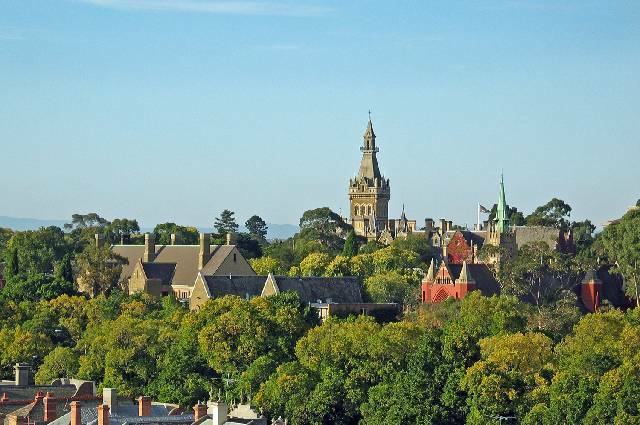 Ormond College opened in 1881 with 20 students, but by 1893 the number of students had risen to 100. 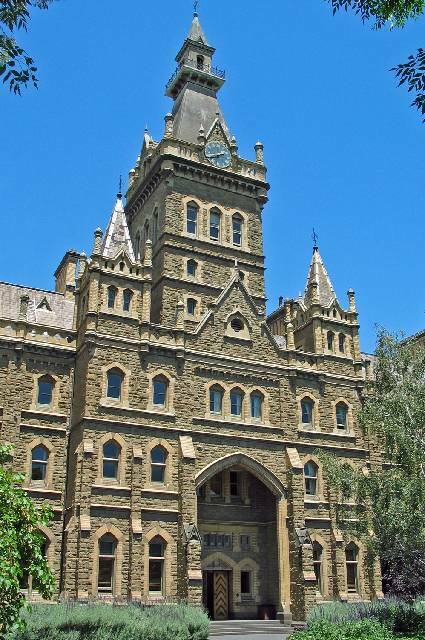 The imposing stone and brick building which is the heart of the College was made possible through the generous benefaction of Francis Ormond, a western district pastoralist with a passion for education and a desire to ensure that students from afar could take advantage of the opportunities offered by the University of Melbourne. Later buildings to house more students were built with Commonwealth Grants and past students’ contributions. The College is now home to around 325 students and approximately 30 tutors and academics. Three photographs of my own below.